Enter Masbia`s front door and you will be greeted by a smiling host, who’ll then show you to your table. Moments later, an equally friendly server will offer you a hot and nutritious kosher meal, a fresh salad, and a beverage. The only difference between Masbia and other New York City restaurants comes at the end of each meal when there is no charge. That’s because Masbia—which means “to satiate” in Hebrew—is a soup kitchen for the hungry. The focus is on providing free and delicious meals to the hungry within a welcoming, cafe-style atmosphere. 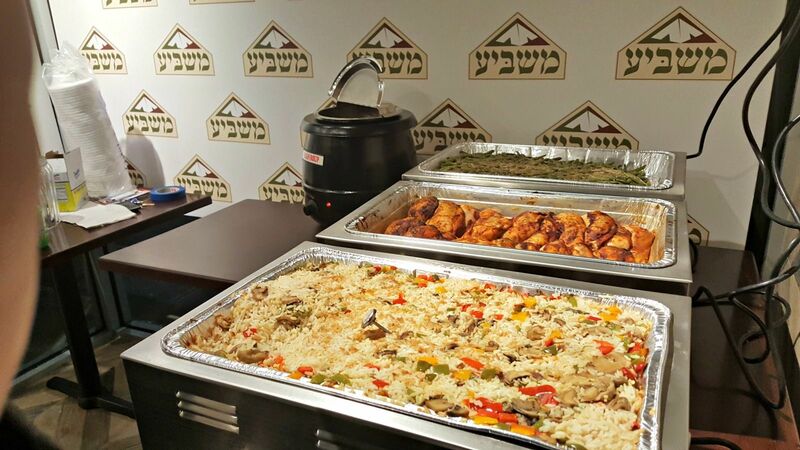 Alexander Rapaport, currently the executive director, and his partner, Mordechai Mandelbaum, opened the first and only kosher soup kitchen in Borough Park, Brooklyn in 2005. Their mission was to make all who enter feel safe and comfortable, especially large families. In 2009, Masbia expanded from one kitchen and dining hall in Brooklyn’s Boro Park, to a three-kitchen network throughout Brooklyn and Queens. In 2014, just the month of January, this nonprofit served 5,583 meals and distributed 7,840 bags of groceries that provided tens of thousands of meals. Despite this high volume, the kitchen operates with only three salaried staff members including Chef Rubin Diaz. The rest are volunteers who are dedicated to serving delicious meals with a side of dignity. Donate or volunteer at their website www.masbia.org. Site Created by Longleaf Digital.